We're Your Local Lock Rekey Experts! Instead of installing new locks, do you need to rekey your existing locks? Are you looking for reliable lock rekey service in Maryland or DC? King Door and Lock Maryland and DC is an established locksmith company that offers residential and commercial door lock repair, replacement and installation in the Maryland and Washington DC areas. We provide fast and friendly, 24x7 lock services for residential and commercial clients, and we can help you with any door and lock service needs. Our company provides honest service and up front pricing. At King Door and Lock Maryland and DC, we have well-qualified technicians who are highly knowledgeable and dedicated to ensuring complete customer satisfaction. Each of our residential and commercial lock technicians has many years of experience in providing outstanding services in the industry. Whether you are looking for an expert to rekey the locks in your home or office, or you need to have your locks completely replaced, we’ve got you covered. Lock rekey is the smart option for residential and office security. There are a number of times where if you do not rekey your locks, you are taking a big risk with the safety of your family or business. It is advisable to have your locks rekeyed, for example, when you are moving to a new home or office. Over time, several keys could have been given away to relatives, former roommates, friends, workers, etc. Rekeying all the locks in the house or office is one of the first things to do when you move to a new residence or office. 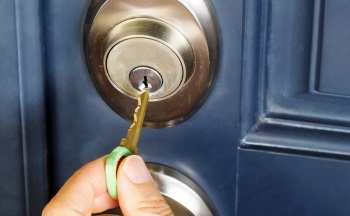 When keys are lost, you need to act fast and call a professional locksmith to rekey the lock. At King Door and Lock, we specialize in all kinds of residential and commercial locks including deadbolt lock rekey in MD and DC, and profile cylinder lock re-key in DC and MD. This is an important step that will help ensure security at your home or at the office. 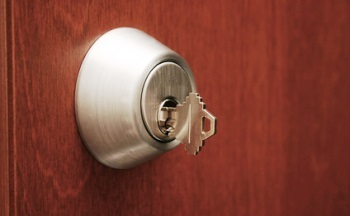 Another time to rekey commercial or residential locks is after a break-in. You should also consider rekeying your locks every few years to enhance security in your home or office. You have no way of knowing how many people have duplicates of your key. You don’t need to replace the entire lock to protect your residence or office. When you find yourself in a situation where your lock needs to be changed give us a call, and we can rekey the lock for you at a much lower price and in less time than it would take to buy new locks and install them. Our fast and friendly, commercial and residential lock technicians have great expertise in providing lock rekey services, and they will offer you up front pricing. Our technicians use our high tech tools and equipment, which enable them to rekey home and office locks efficiently. When you call us, we will dispatch our fast and friendly technician who will arrive shortly to provide the best possible service for your needs. King Door and Lock Maryland and DC is the most reputable lock rekey company in Maryland, Washington DC, and surrounding areas. Our residential and commercial lock technicians come highly recommended in this area because we provide professional, honest, and dependable service. If you have lock rekey needs, give us a call immediately. We deliver 24/7 lock services, and we will respond promptly. Lock Rekey https://kingdoorandlock.com/lock-rekey/ 4.2/5 based upon 13 reviews.